يوفر فندق فندق إيبس ستايلز كينجزجيت ظروف إقامة راقية وهو خيار رائج للسياح ولرجال الأعمال أيضاً. يقع في منطقة سياحة, مطاعم, تسوق من المدينة. لا يبعد الفندق كثيراً عن مركز المدينة، فهو يقع على بعد 1.Km منها. في حين يستغرق الطريق منها إلى المطار حوالي 30 دقيقة. كما يمكن الوصول بسهولة إلى عدة معالم سياحية قريبة. إن الخدمات الممتازة وحسن الضيافة العالي في فندق إيبس ستايلز كينجزجيت تجعل إقامتك تجربة لا تنسى. يقدم الفندق فرصة للاستمتاع بشريحة واسعة من الخدمات بما فيها: واي فاي مجاني في جميع الغرف, خدمة التنظيف يوميًا, خدمة غسيل ذاتية, خدمة سيارات الأجرة, مكتب الاستقبال على مدار الساعة . تتضمن كل غرف النزلاء وسائل الراحة والتسلية المصممة خصيصاً لضمان الراحة القصوى للضيوف. كما أن مجموعة الخدمات الواسعة الموجودة في الفندق لضمان راحتك تترك لك الكثير من الخيارات لقضاء وقتك أثناء فترة إقامتك. إن فندق إيبس ستايلز كينجزجيت هو خيارك لخدمة الفنادق الراقية في المدينة. يوجد مكان خارجي لصف السيارات قيمته 25 AUD/الليلة. التجديدات تجري حتى ديسمبر 2020. قد تواجه بعض الاضطرابات والضوضاء البسيطة أثناء النهار من الساعة 9:00 حتى الساعة 18:00 يوميًا. It meets the expectation we have for an IBIS. However, the breakfast can definitely be improved to include hot food (egg) instead of just the continental. We stayed at other IBIS (Canberra) and the breakfast there is much better. Parking is a bit of a problem since it's located at the city. It's $25 per night (a bit pricey) and we had to walk to the separate parking structure (5 min walk). It's not a problem when you are not carrying your luggage but quite a hassle when you have 4 large suitcases. Great location and convenient to reach to train and transportation. The room is slightly small but clean. Breakfast choices is adequate but could be better with refill of empty dishes. We were found with most of the times some food has been emptied out and when request the staff to fill up, they have replied to say that there is no refilling up and request us to try the next day. A block away from Southern Cross station with (free) public transportation all around! The trade-off: carpets in the room were dirty - keep your slippers on, free breakfast was very basic. But altogether, a real bargain! 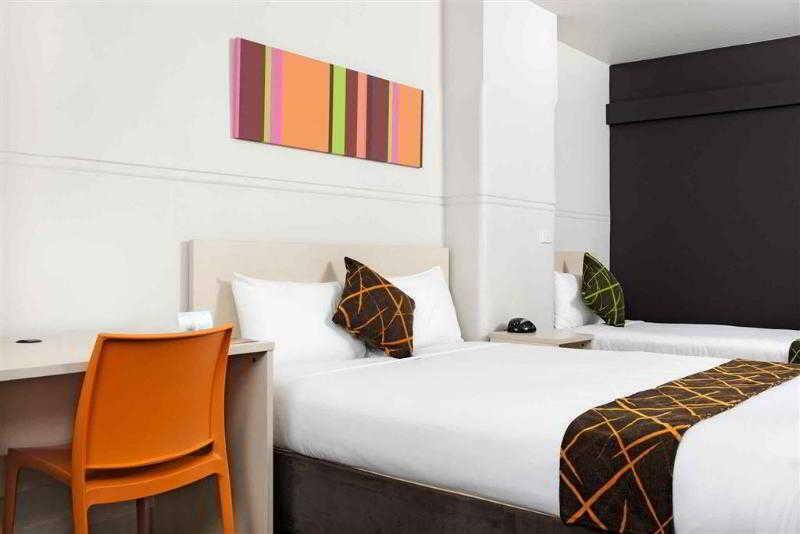 This is my first time stay in IBIS styles, Melbourne. Very clean and comfortable room. Delicious break fast but with same options almost all the days. The wifi in the room is ok. The location is good and plenty of Indian and international restaurants around. The room I had was a standard double-bed room, and, overall, I would say it was a comfortable stay. I got a good deal, considering I booked only 2 days in advance. The bed was comfortable, and the room temperature was regulated appropriately with the heater and a/c. Amenities were complete inside the room, and the sheets, linens and towels were all clean and tidy. The flatscreen was positioned well in the top corner of the room. Granted that the hotel was undergoing renovations as posted online, the construction noise was still a bit of a nuisance. The a/c was old, with small air swing parts broken, but fully functional. I wish there was complementary slippers, though. The walls were thin as I could easily hear someones' cough/their conversation next door, so I was consciously putting my tv volume low so as not to disturb my neighbours. Reception desk was great. Breakfast included and free wifi was reliable almost all the time. All in all, it was a good stay. 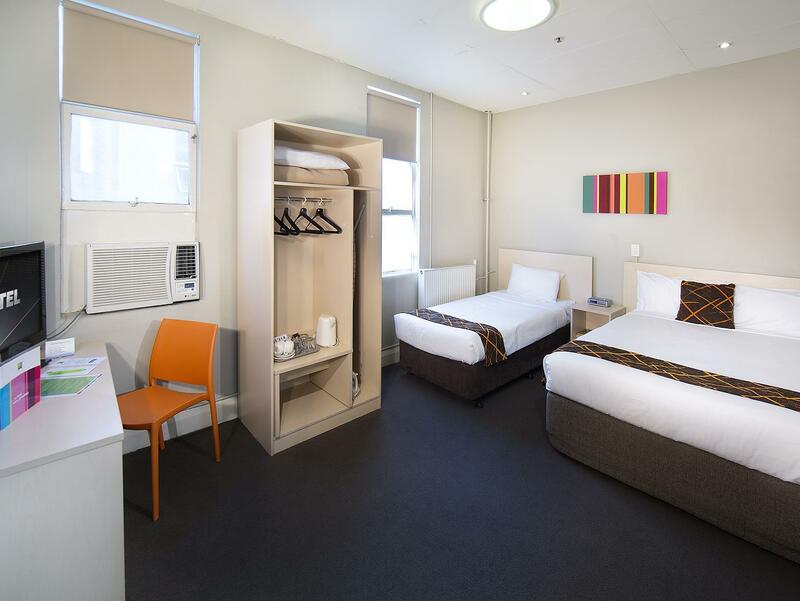 Not flash, good value for money for just a bed for the night and base to explore Melbourne. Very close to train station -perfect for us. Wife also likes the Spencer st shopping center close by as well. 5 mins walk to southern cross station. In free tram zone. Direct tram to DFO. Room is big, might need some renovation. Paints are peeling off. Building under renovation when I visited. Wifi super weak in room. Stay in level 6. Unable to use the wifi in the room. Noted that the hotel have landuary room, but only 1 washing machine is usable. Met very irresponsible guest who left their clothes in the machine for whole night. Hogging up the machine and staff is unable to do anything. Note that there is a small flight of stairs before entering the reception. Do take note if you have heavy baggage. Will consider staying there again if budget is tight. I stayed here for a couple of nights whilst in Melbourne for a martial arts seminar and the location was central to everything in the CBD. Facilities were okay if you don't plan to cook, staff were friendly and the place was clean. 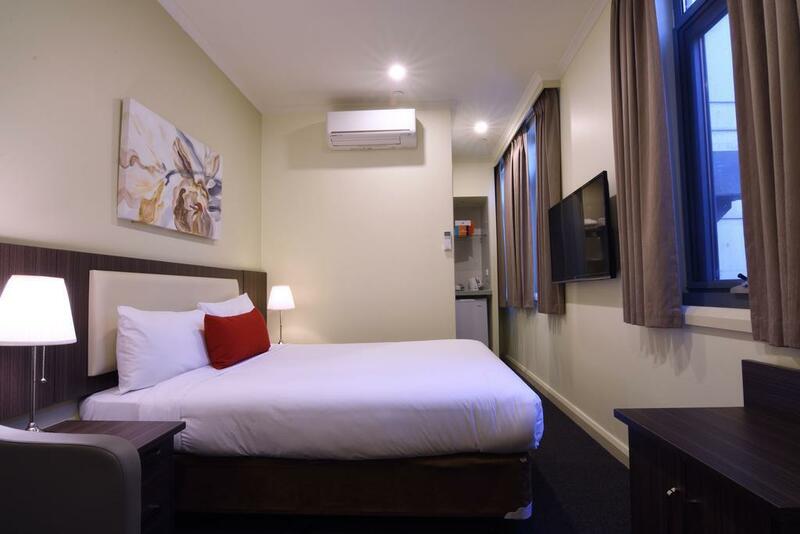 Ibis Kingsgate is conveniently located just a stone throw from south central train station, and another stone throw from the tram station. going everywhere is convenient just from ibis. we had a wonderful stay in kingsgate ibis. Thank you! 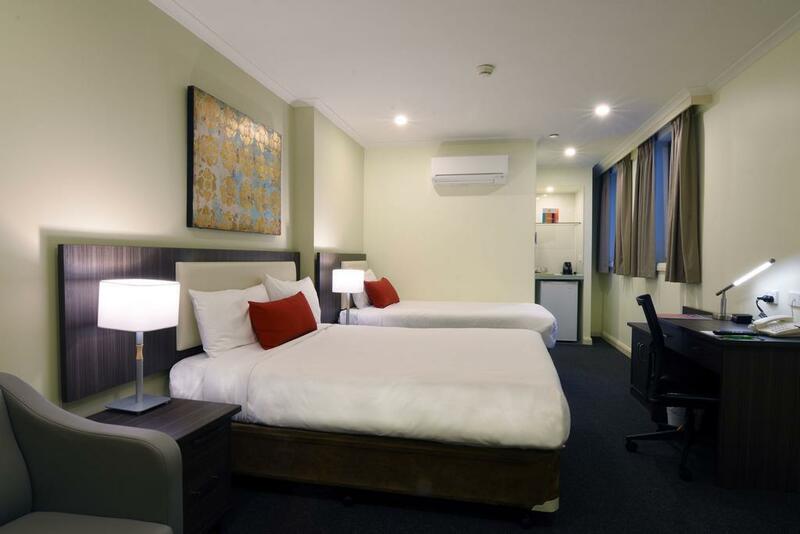 This Hotel is in Melbourne CBD and easy to access by tram or train. The room was large for a city Hotel and had every amenity you could need. The breakfast was simple but very good and I was happy with my stay. 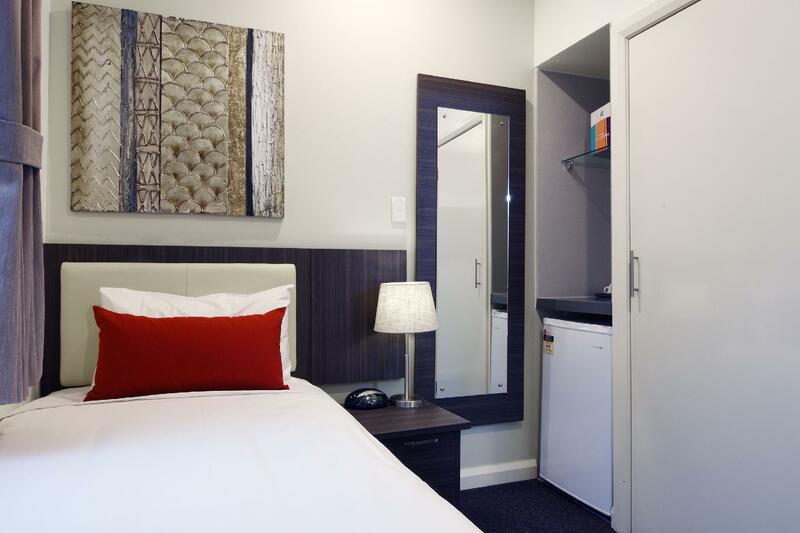 Perfectly situated to Southern Cross Station and Skybus to airport. Room was small but clean and comfortable. Bathroom had been renovated. Basic breakfast was a bonus. Only complaint was noise from air conditioning unit outside room was rather loud. I only chose Kingsgate Hotel as I was meeting friends from overseas there who had booked this hotel. Reading the reviews I was rather dreading my one night here but was very pleasantly surprised. I checked in early and the young man on reception was extremely helpful, after a short wait he informed me he had a room ready for me. 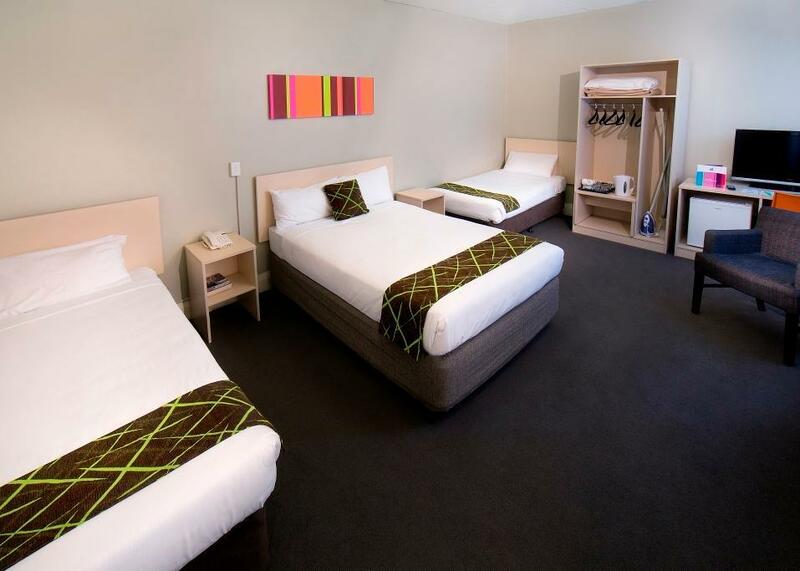 The room was bright, clean and spacious enough for a one night stay. After all, the rates here are pretty low so you can't expect 4* accommodation. A short walk to Southern Cross Station, pretty convenient. The walls are however pretty thin so you will need to be mindful of your conversation volume, especially in the night. 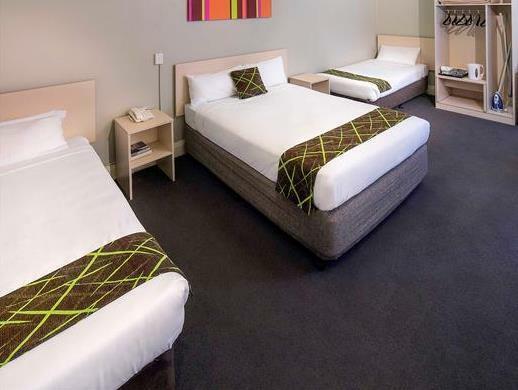 Good value for money hotel in Melbourne. Perfect location for shopping and the train station.